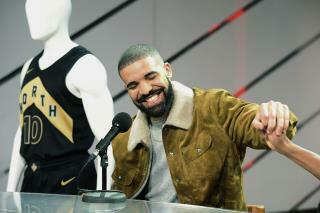 (Newser) – Further showing Canadians to be oh so nice, rapper Drake surprised a hotel maid with a spa visit, a lobster dinner, and a $10,000 shopping spree—though, to be fair, Odelie Paret truly deserved it. The mother of five, born in Haiti, has spent that last 20 years cleaning the Fontainebleau resort in Miami Beach, Fla., commuting up to four hours a day by bus, reports the Miami Herald. Touched by her story, mentioned in a Herald article last May, Drake decided she needed a break. After receiving a mysterious phone call, Paret finished her shift last Tuesday and headed to Fontainebleau's spa for a massage, then to chef Michael Mina's restaurant StripSteak. She had no idea who was footing the bill until a car whisked her to Saks Fifth Avenue, where Drake and Pittsburgh Steelers wide receiver Antonio Brown surprised her, per People. Matthew 6 1 “Be careful not to practice your righteousness in front of others to be seen by them. If you do, you will have no reward from your Father in heaven. 2 “So when you give to the needy, do not announce it with trumpets, as the hypocrites do in the synagogues and on the streets, to be honored by others. Truly I tell you, they have received their reward in full. 3 But when you give to the needy, do not let your left hand know what your right hand is doing, 4 so that your giving may be in secret. Then your Father, who sees what is done in secret, will reward you. But that is the New Testament and I think Drake is Jew. I'm so proud of Drake and his generosity towards those who are less fortunate. The shining example of a Canadian citizen. I'm glad it didn't take the American route, which is the scream at them for being on food stamps and then take the food stamps away and give him a box of food but no fruits or veggies.